In the September 29th article “KID to intervene with Hoopa lawsuit“, the Klamath Irrigation District Board of Directors voted to bring on yet another attorney, Oliver Wanger of Fresno, California-based Wanger Jones Helsley PC to help fight on behalf of the irrigation district in the Hoopa Valley Tribe lawsuit filed against the Bureau of Reclamation and the National Marine Fisheries. The Hoopa Valley Tribe is fighting the BOR and NMF over guidelines for water allocation to the benefit of fish species, specifically the threatened coho and shortnose sucker. Obviously, this will have an incredibly negative impact on agriculture in the Klamath Basin. Instead of pooling their resources as a member of the Klamath Water Users Association (who has already petitioned the court for intervention), use Reitmann (KID’s current legal counselor), or the new attorney, Aaron Landau from Eugene who is watching over the recall election to protect the district (and we hope not just Cheyne, Smith and now Knoll), the board took the bold step in bringing in yet another attorney. Mr. Wanger bills out at $475 an hour. With all due respect, Chairman Cheyne, it is a big god-d- — deal. On your watch, KID has now had five – yes, the number 5 – attorneys this year. While we’re sorry that it hurts your feelings that people are calling into question the legal bills that have been piling up, in our opinion this is a mess of your making. The irrigation district’s legal budget was $50,000. With the various actions you, Vice Chairman Knoll and Mr. Smith have taken, that budget has been blown out of the water. While you have been Chairman, you brought in from a “Google search” Lawrence Kogan from New York to keep an eye on the C Flume contract. 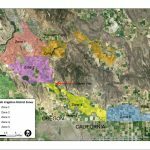 What did the irrigation district get for it’s nearly $130,000 investment in Mr. Kogan? 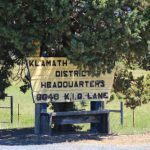 A bunch of editorials slandering people in our community and insinuations that Klamath Basin farmers are welfare farmers. But not a single change to the contract with the Bureau of Reclamation. So yes, in our opinion your $128,500 decision to bring in Larry Kogan is a god-d- — deal. It’s good to see you are taking the Hoopa Valley Tribe lawsuit seriously and have hired an attorney with the experience and skills to make sure KID’s irrigation rights aren’t washed down stream. However, anyone with foresight beyond their belly could see this was what was going to happen when the KBRA – which you, Knoll and Smith were vehemently against – dissolved. This is why being a part of an organization like Klamath Water Users Association is so incredibly important. KWUA has been working in Basin irrigator interests for decades to help sustain our ag community against these kinds of lawsuits. Mr. Wanger’s experience will be crucial to this, but it is going to get very expensive very quickly as he digs into the history of KID to get to get up to speed on the issues and players in this lawsuit. KWUA was already invested in the outcome and knows all of this. However, instead of seeing the value of KWUA, you, Knoll and Smith saw to it that not only did KID leave KWUA (though the three of you haven’t seen the need to return to irrigators the fees collected for the dues), in our opinion you burned a bridge that your pride won’t let you cross. So, as a result, KID irrigators get pay for yet another attorney, which wouldn’t be necessary if you, Vice Chairman Knoll and Mr. Smith had rejoined KWUA as requested by your constituents. Again, it’s a god-d- — deal. Chairman Cheyne, it is our opinion you have been reckless with the irrigation district’s money and whether it’s arrogance or ineptitude that causes you to make such a quote in the paper, it’s disheartening to read that you can’t see why this such an important issue. These have been very expensive mistakes, and the bills keep piling up. KID is in this situation directly due to the actions of you, Vice Chairman Knoll and Mr. Smith have taken. We apologize that your feelings have been hurt and would hope you would be enough of a grown-up to own up to your mistakes and instead of acting like a petulant child that can’t handle criticism. This is your bed, and now that our district is on its fifth attorney, you have to bear the responsibility. This isn’t the fault of Zone 1, 2, and 3 patrons that are calling for your recall, nor the fault of KWUA. These are the results of your actions. So, again, yes, it’s a god god-d- —. And while you’re about ready to get mad, we’re already angry.